DOCTOR WHO - An Appreciation Of SYLVESTER McCOY | Warped Factor - Words in the Key of Geek. 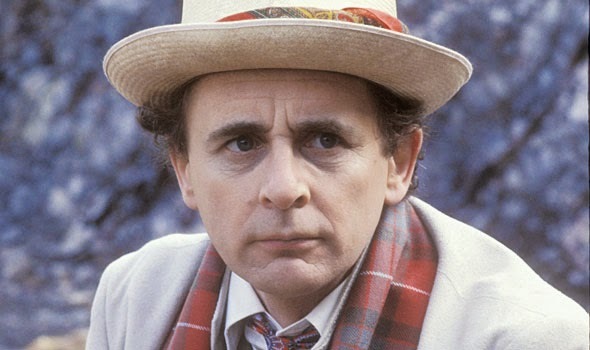 Dominic Fellows pays tribute to the Seventh Doctor, Sylvester McCoy. Favourite Doctor poles are a funny thing. I give no credence whatsoever to the top three spots and here's why; numbers one and two are always taken by either a) the current Doctor, this is unsurprising given their episodes are fresh in the mind and constantly being repeated or b) All-time favourite Tom Baker, again this is hardly surprising as he features in the most episodes during the height of the show's popularity and is still recent enough for a legion of forty-something’s to get nostalgic about. The third spot is often occupied by the previous most current Doctor, again because their episodes are still a recent memory. It's not until you hit the number four spot, I think that the voting becomes a bit more objective (you can see where I’m going with this?) so when SFX did their own version of the famous 'favourite Doctor pole' I was thrilled to see McCoy take fourth place, which in my own sense of twisted, non-linear logic meant he was the best. Which is not so crazy as in 1990 he became the first Doctor to knock Tom Baker off that coveted perch (he found his way back of course) but it seems that for a very brief moment in time, Sylvester McCoy was everyone's favourite Doctor. And that was that. He spent the next twenty-odd years being frequently dismissed (in mainstream circles at least) as 'that rubbish one who killed off the series'. And it wasn't just the public who thought this, the BBC allegedly fought to keep him out of 'The TV Movie' so thank heaven Phillip Segal fought even harder to keep him in. But it does seem over the years that Doctor number seven has had a raw deal. For the three million of us still watching in 1989 he really started to make the show great again, for the rest of the world, he just faded away. Even in last year’s 50th Anniversary celebrations his involvement was relegated to nothing more than a red-button parody (kudos, it was a brilliant parody but a parody none the less). Which begs the question 'Why do we want to see our old favourites return?' There's a million reasons but for me it's simply this; so that the millions of people across the globe who now enjoy Doctor Who can see for themselves and be treated to just how wonderful the Seventh Doctor was. Although his era doesn't get off to the best start, it's not as bad as many would have you believe. Far superior to 'The Twin Dilemma' more fun than 'Castrovalva' and let's be honest, 'Robot' is not exactly a classic. After spending most of the adventure clowning around, his assertion in the closing moments of 'Time and the Rani' of 'I'll grow on you' is not only comforting but very apt. The Sixth Doctor is given the same opportunity in 'The Twin Dilemma' and his response 'I am The Doctor whether you like it or not' they are essentially saying the same thing, but the Seventh is much more palatable and as it turned out more accurate. 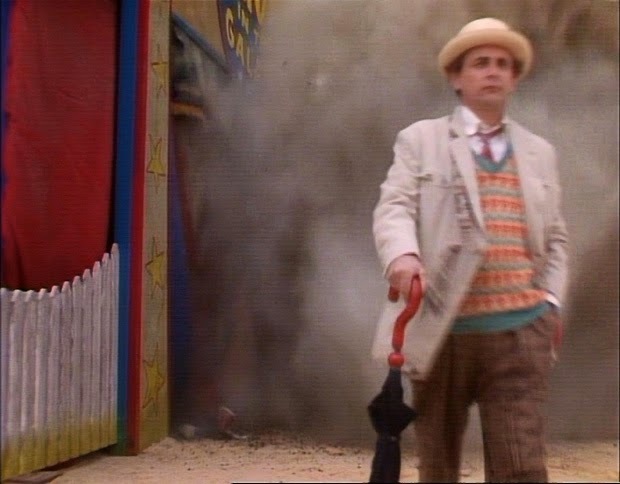 If you compare how the Seventh Doctor is in 'Time and the Rani' to how he becomes in 'Survival' he is the only Doctor that really develops. And I mean REALLY developed, yes they all developed in their own way during their respective tenures, but the Seventh is the only one that is this dramatic. Although Hartnell softened his portrayal as he went on, he still maintained being a fierce old man and although the modern era Doctors have developed more than their classic counterparts were ever allowed to, none of them has managed to start as a complete buffoon and turn into a dark manipulator. There is an assertion that Doctor's ten and eleven have their dark moments. No disrespect intended to David Tennant, Matt Smith or their respective fans but neither one of them is a patch on Sylvester McCoy. It's all very well having moments of darkness when you're enemies are on the receiving end (The Family of Blood, Dinosaurs on a Space Ship) but when it's your friends, people you are supposed to care for, that is true darkness, and the Seventh Doctor never shied away from it, more on that in a little while. If you want to find a definitive Sylvester McCoy performance I would advise looking to 'The Greatest Show in the Galaxy'. This is actually the only instance in which we see both aspects of the Seventh Doctor marred together successfully. McCoy begins the episode almost playing a parody of himself in the previous season, being gleefully overjoyed when asked to take part in the psychic circus and then falls into a (very obvious) trap. As things progress and the darker Doctor begins to emerge and Ace comments 'It was your show all along' it's totally believable. If only this had come at the end of the previous season, all the clowning around might have made some kind of sense. Perhaps one of McCoy's greatest moments comes in 'The Curse of Fenric' when he would seemingly rather let Ace die than kneel to an enemy. This is a moment that in any other era of the show (or any show come to think of it) you would know that the 'hero' had a plan and this was just part of it. That's not the case here, McCoy plays the scene with such understated confidence, and having played much of his time as the Doctor 'looking to the bigger picture' coming from him, this moment becomes all the more believable and chilling. Although I didn't think much of this at the time (being five) when I revisited it years later at the far more mature age of eleven, this scene really resonated. The Doctor was a character I loved but he was not a character I trusted. He was a character with a genuinely darker side to him and even as an eleven year old I found that fascinating. That was what set the character apart from all other heroes, I was an unusual child, I always preferred the villains and here was a character walking a line between both. But he wasn't all about darkness. The Seventh Doctor was, more often than his predecessors, given moments of tenderness such as his comforting of Ray in 'Delta and the Bannermen' or his farewell to Mel in 'Dragonfire', or perhaps most beautiful of all after the events of 'Battlefield' he is even able to offer Morgaine small words of condolence after she has learnt of Arthur's death. 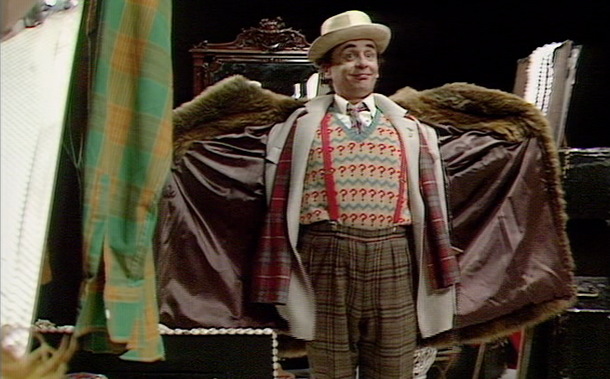 This is not just a wonderful moment from Sylvester McCoy but is very much at the heart of who The Doctor is. One moment he is a force to be reckoned with, the next he is consoling his defeated enemy. The Doctor doesn't just fight the enemy, he understands them which gives him the capacity to be ruthless and compassionate in equal measure and this is never clearer than when Sylvester McCoy is at the helm. It’s equally refreshing to see him defeat his enemies with understated cool. In the modern age when we are often reminded ‘shhh spoilers!’ it is (retroactively at least) nice to see him deal with Lady Peinforte by practically inviting her to carry out her nefarious scheme to reveal his ‘secrets’ and therefore snuffing out any power she thought she had over him. This is admittedly more to do with the writing than the performance but one could argue that it was McCoy’s characterisation that inspired such writing in the first place. More risks are taken with the character during this period than any other and for the most part they pay off. McCoy’s more introverted Doctor gave writer’s scope to ask ‘what is this guy really thinking?’. In 1991 the fates aligned and led to this Doctor being the first ‘novel’ Doctor. Yes, novelisation’s had been around since the sixties but it was not until the nineties that that the Doctor was given a brand new lease of life as a purely literary character and it’s a good thing that this was the Doctor in residence. He suits the printed page because his televisual counterpart always seemed to have ‘something else going on’. It’s fitting that the initial run of Doctor Who should have finished on such beautiful words and I don’t think anyone could have delivered them more beautifully than Sylvester McCoy.